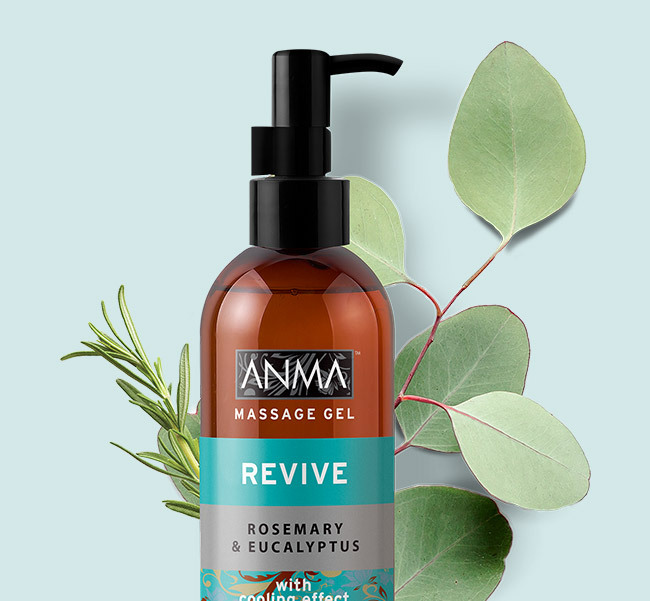 ANMA Rosemary & Eucalyptus REVIVE Massage Gel helps energize and revitalize body and mind, leaving the skin looking fresh and hydrated. 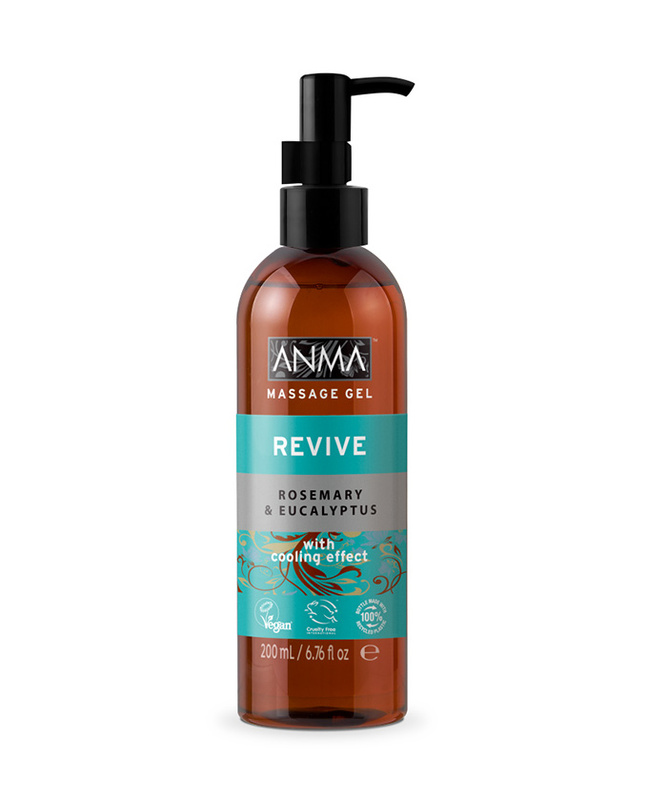 This cooling and refreshing gel contains energy-boosting Rosemary Oil and stimulating and awakening Eucalyptus Oil. 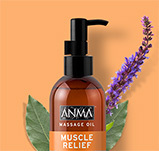 AQUA/WATER, ALCOHOL DENAT., GLYCERIN, MENTHOL, POLYSORBATE 20, PARFUM/FRAGRANCE, ACRYLATES/C10-30 ALKYL ACRYLATE CROSSPOLYMER, AMINOMETHYL PROPANOL, DISODIUM EDTA, LINALOOL, ROSMARINUS (ROSEMARY) OFFICINALIS LEAF OIL, EUCALYPTUS GLOBULUS LEAF OIL, LIMONENE, CITRONELLOL.